Louis Koo Tin Lok yesterday brought his film MEOW's star Xixili and Michelle Wai Sze Nga to promote the film at Television City. 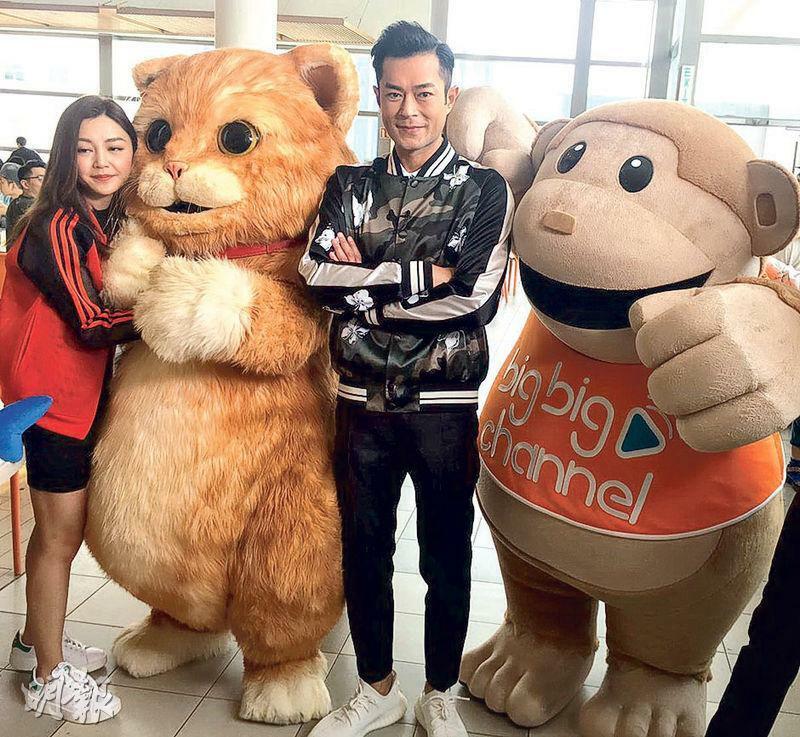 They even ran into TVB big big channel's mascot. The two even gave each other a high five. When Goo Jai appeared at the TVB canteen he instantly became the focus as a crowd rushed up for photos. He did not turn anyone away. Girls surrounded Xixili for photos.